Home Social House and Estate from BiH won a prestigious Architecture World Prize! House and Estate from BiH won a prestigious Architecture World Prize! 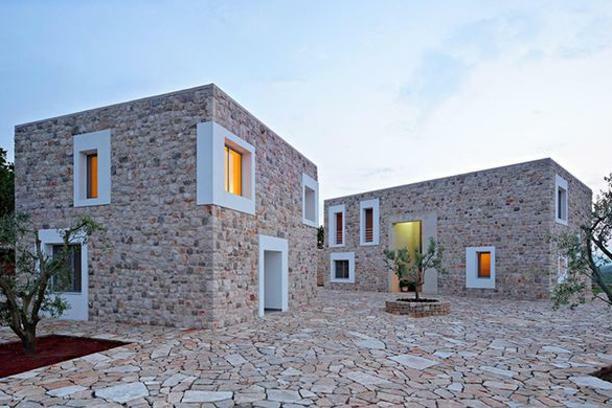 Croatian architects won the American Architecture Prize for three projects, and one of the awarded projects is the family estate in the village of Bijaca, BiH. This prestigious prize is awarded in a total of 41 categories, and there are several awarded people in each of the categories. It is awarded to projects and realizations of architecture and interior design all over the world. Studio Two Architects Tomislav Curkovic and Zoran Zidaric received the award for architectural design of the estate in Bijaca, as well as the award for design in agriculture for the project of winery near Pozega. The complex of family estate in Bijaca is located at one of the Western-Herzegovinian hills, and it covers an area of approximately 35,000 square meters of land. The program includes numerous contents – family house for owners, guest house, economic buildings, house for the estate manager, orchard, garden, vineyard, as well as numerous sports and recreational facilities with accompanying content. Its ambience is mainly based on the tradition, the history of the place and the Herzegovinian village, where this kind of localities were place for social contacts and events.